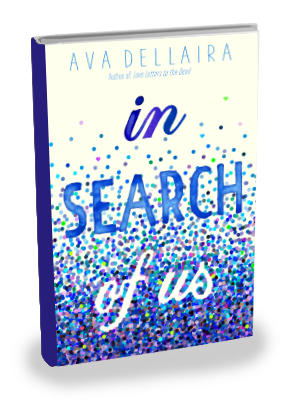 Ava Dellaira is the author of the new young adult novel In Search of Us. 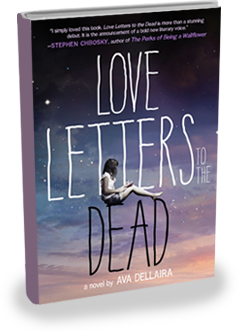 She also has written the young adult novel Love Letters to the Dead. She lives in Los Angeles. Q: How did you come up with the idea for In Search of Us, and for your characters Angie and Marilyn? A: The initial idea to write a story that goes back and forth between a mom and a daughter when they are each 17 popped into my head while I was sitting in LA traffic (which seems to be serving me well as an author so far!). I think in part the concept came out of my connection to my own mom, and my longing to know things about her that I would never be able to ask (she had died several years before), as well an interest in exploring the ways in which echoes of the past reach into the present. A few weeks later, I happened to stumble on a BBC article on someone’s Twitter feed called “Do the Dead Outnumber the Living,” about population growth and the number of people living on earth now, versus the number of people who have ever lived. Just after the reading the article, while I was taking a walk on the beach, I began to hear Angie’s voice. She thinks of herself as only one of more than seven billion, she told me, and feels as small as a drop in the ocean. I learned that she and I both believe in ghosts. And that she and I had some of the same questions: What could possibly be my place in such a vast world? I could see then that Angie’s journey to learn that she matters would be connected to her discovery of the truth about where she comes from. Marilyn’s character unfolded more slowly. As I began to work on the book and to travel back in time to discover Angie’s roots, I slowly got to know Marilyn and to hear her voice, too. Q: The book focuses in part on issues surrounding race, and you're donating some of your proceeds to the NAACP Legal Defense and Educational Fund. What impact do you hope the story has on readers? A: When I began working on In Search Of Us, I was interested in exploring how the past influences the present, in these often invisible ways. 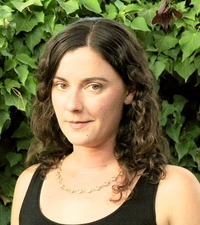 Over the course of writing, the concept expanded beyond the realm of personal and family history, and also became about our collective history. One of the most important themes of the book that I hope will resonate with readers has to do with the importance of facing our pasts in order to create the present and future that we want, which I think this has everything to do with race and racism in America. At the time that I was writing the book, so many tragedies around racial injustice were coming to light, and in part the story was my response to that. I had just moved in with my now-husband, who is black, and we were beginning to build a family together, getting engaged and married and starting to plan for the child we hoped to have. So on a personal level, my desire to address issues surrounding race also came out of my love for him and for his family, and my need to think about the responsibilities (and possible failures), of a white mother to a biracial child. Though it can often be easier to avoid talking about or confronting these difficult topics, (like Marilyn does for a time in the book), I believe it’s essential to any real healing or transformation that we take the risks of looking honestly at our blind spots, having the hard conversations, and facing the painful realities in our history. Q: You switch back and forth between sections told from Marilyn's perspective and sections told from Angie's perspective. Did you write the book in the order it appears, or did you focus more on one character and then turn to the other? A: I wrote the two sections separately – when I would get stuck on Marilyn’s story, I’d work on Angie’s for a while and vise-versa, so while they weren’t written in order, they were written in tandem, and I think this helped to create a sense of connection between them. Originally I had imagined alternating chapters, but I could quickly sense that wouldn’t allow the reader to sink deeply enough into either narrative, so I created section breaks and tried splicing them together. Luckily it worked, as I began this process only a few weeks before I had to turn in the first draft of the manuscript to my editor! 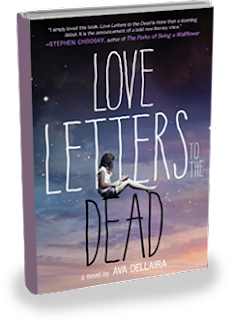 A: I had the idea that the novel would end the way it does soon after I began writing, but by the time I actually reached the end of the book I was gripped with fear and sadness for the characters that I’d come to care deeply about. I tried a few other endings that were clearly not right for the book, before I went back to the ending that I’d intended and saw that it was the only choice that was true to the story. A: My first baby is due in less than two weeks, so right now I’m mostly working on her nursery! I am also thinking about developing In Search Of Us for television, and I have a new book I’m working on, but it’s still in the early stages. A: I really appreciate the interview! Thank you so much to your readers for taking the time to check it out!